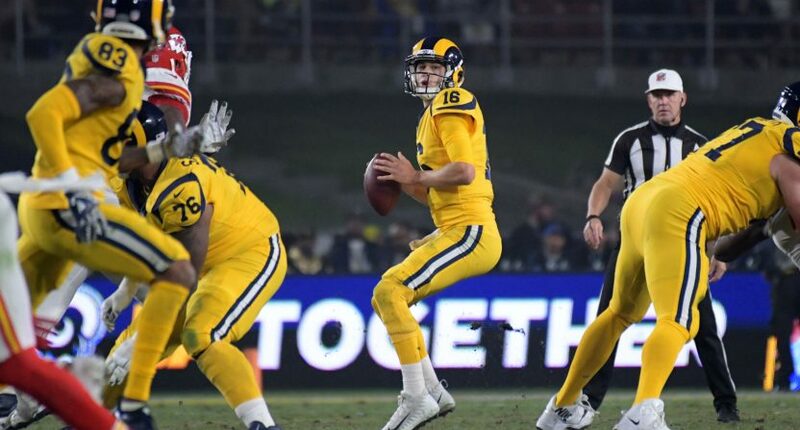 The Rams-Chiefs Monday Night Football game certainly lived up to the hype. Los Angeles outlasted Kansas City 54-51 in an incredible game that had a bit of everything. That’s especially the case on the offensive side of the ball, of course. In fact, this is the first game in NFL history that both teams scored at least 50 points. Entering this game, NFL teams that scored 50+ points were 216-0. So, that’s incredible, but not entirely shocking seeing as how the game had the highest NFL over/under on record. Westgate's over-under closed at 64, the highest on record (since 1986). Still, the over hitting during the third quarter is pretty nuts. This game had the highest over/under ever. And there are even some crazier statistical nuggets to come out of the game. Like, the 14 touchdowns scored in the game are more than the Buffalo Bills (13) have scored all season. There were more touchdowns in that game (14) than the Bills have all season (13). The Tampa Bay Buccaneers had more yards on offense (501) in their 16-3 loss to the Washington Redskins in Week 10 than the Rams did in this game (which they scored 54 points). The Tampa Bay Buccaneers had more yards against the Washington Redskins than the Los Angeles Rams did tonight against the Kansas City Chiefs. The Bucs scored 3 points; the Rams scored 54. The 54 points makes for the same amount the Rams scored over their final six games of 2016. The 2016 Rams scored 54 points in their final five games. And Patrick Mahomes threw a Monday Night Football record six touchdown passes… in a game he also had five turnovers. Mahomes' 6 Pass TD are the most in Monday Night Football history. These are just a few of the many, many crazy stats and facts to come out of the instant classic.